"Just like that!" 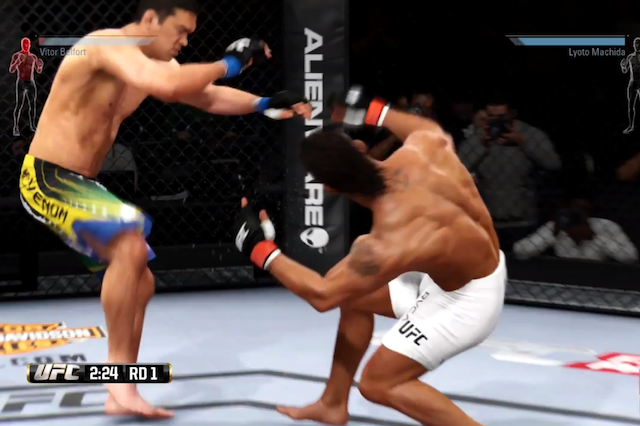 MMAGame has posted another highlight reel knockout from his online adventures in EA Sports UFC. Check out the latest one inside. MMAGame's online battles in EA Sports UFC continue. This time, he chooses Lyoto Machida to take down Vitor Belfort. This is the eleventh "KO of the Day" from MMAGame.